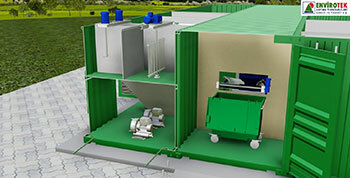 Small-scale container-based water treatment plant treats leachate waste water from waste treatment plant with the latest MBR technology for reduced maintenance and cost, where the degree of cleaning is so high that we can release the treated water into the environment. 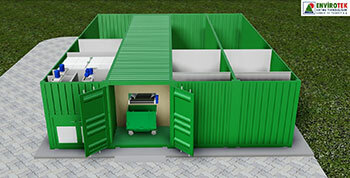 Can be customized with a further container to pass treating waste from 3-chamber wells with option of dump pit if desired (grayed out container). 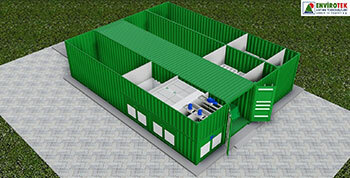 We can build plants dealing 20-200 m3 per day according to customer needs. 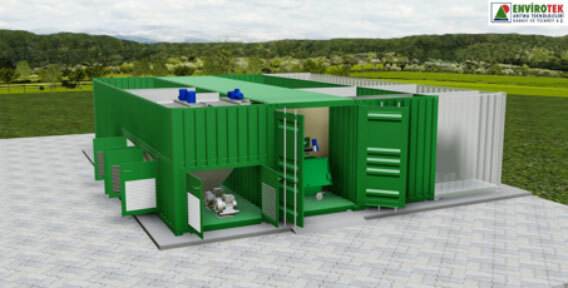 To know our client's needs required volume of leachate / year, analysis of the leachate and the values of the water to be discharged in accordance with local regulations. 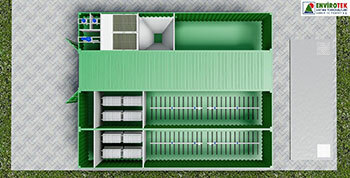 This plant can process up to 100 m3 per day (green containers).